The layered graph layout algorithm aims to highlight the main direction or flow within a directed graph. 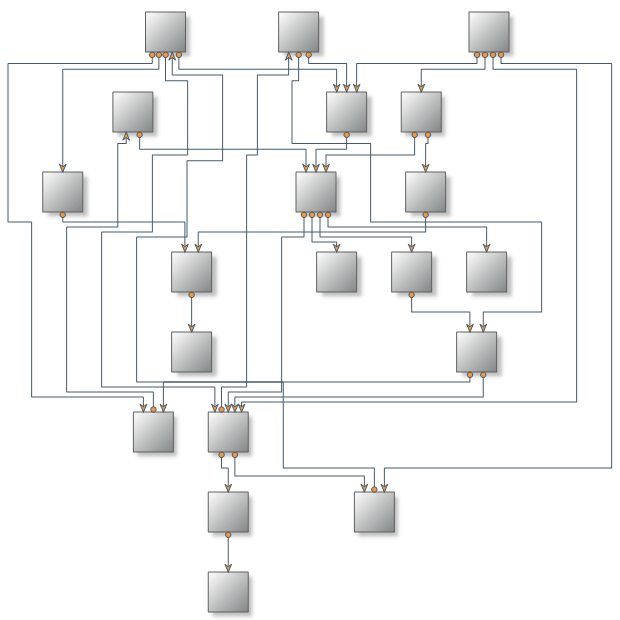 Cyclic dependencies of nodes are automatically detected and resolved and nodes are placed in hierarchically arranged layers. Additionally, the ordering of the nodes within each layer is chosen in such a way that the number of edge crossings is small. 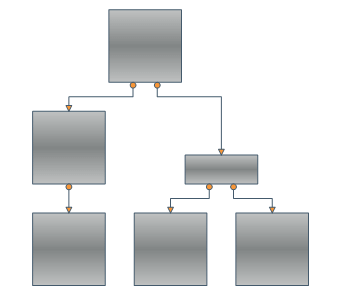 This layout algorithm is very appropriate for hierarchically organized diagrams, organization charts, etc. Nevron is pleased to present you the NLayeredGraphLayout class which implements the layered graph drawing algorithm within Nevron Diagram. When the vertices are distributed to layers we perform a crossing reduction step which rearranges the vertices on each layer in such way that the number of edge crossings is minimized. Finally we calculate the coordinates of the vertices and edges of the drawing and render them using the Nevron Diagram Rendering Engine. Direction – determines how the drawing is oriented in the 2D drawing space. By default it is oriented from Top to Bottom. Other possible orientations are: from Bottom to Top, from Left to Right and from Right to Left. LayerSpacing and VertexSpacing – determine the spacing between the layers and the vertices. EdgeRouting – determines whether to use polylines or only horizontal and vertical line segments to draw the edges. InPlugSpacing and OutPlugSpacing – determine the spacing between the plugs of a node. You can set a fixed amount of spacing or a proportional spacing, which means that the plugs are distributed along the whole side of the node. LayerAlignment and NodeAlignment – specifies how the vertices are aligned within the layer vertically and horizontally respectively. The possible values are Near, Center and Far. For example if the direction is TopToBottom, then Near means that the vertices are aligned to the top of the layer, Center – to the center of the layer and Far – to the Bottom of the layer. Nevron Layered Graph Layout is a powerful layout algorithm that produces very nice drawings of hierarchically organized diagrams. 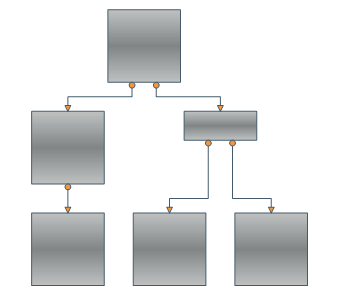 The layout is integrated in Nevron Diagram for .NET thus giving you the power to layout any diagram in a hierarchical manner using only a few lines of code. Besides the robust and highly optimized implementation of the Layered Graph Layout, Nevron Diagram for .NET provides a dozen of other well implemented and carefully tested layout algorithms. If we take in mind all these layouts, the high number of examples and the detailed programmers’ documentation provided by Nevron, we may conclude that the professional visualization of complex graphs and diagrams has never been easier. 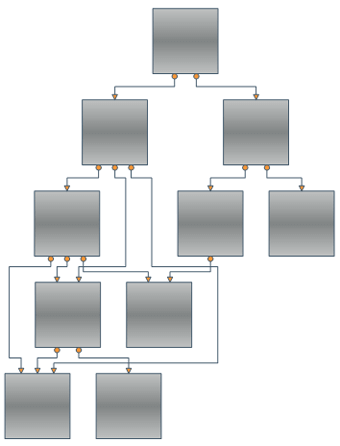 More information on Layered Graph Layout is available in the Users Guide shipped with the fully-functional evaluation of the Diagram for .NET. For more information, visit: www.nevron.com.